Ongoing Planning & Portfolio Management – Key Financial, Inc.
We monitor your progress on an ongoing basis. Once your plan is in place, it’s important to monitor your progress on an ongoing basis. We update your account values nightly and make this information available on a personal landing page on your private website. All of your financial information is secure and protected. Unlike online banking or bill pay where money can be moved, our system is non-transactionable. Your plan is never static and always reflects current market conditions – relieving you of organizational burden and allowing you to focus on what matters most in your life. Armed with this holistic view, we are able to make better portfolio management decisions for you and your investment strategy reflects your unique situation. 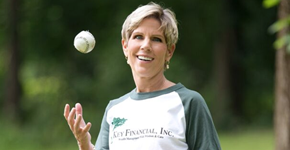 At Key Financial, we stand ready to serve you should life throw you a curveball. In addition to making your life easier on a daily basis, our process is particularly important in times of a crisis. We know where you are, what you have and your contingency plan. That’s what real planning is all about.